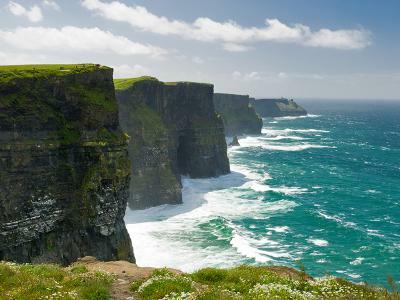 Sign up for our Special Offers and Save €5 or more... We will contact you from time to time with our Great Offers! Please request room type at booking stage, however please note that this is subject to availability only. Free House Cocktail on Arrival. 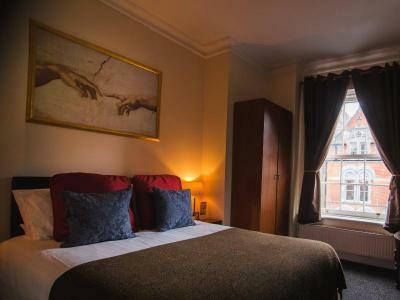 Our Cosy double/ twin rooms consist of one double bed or two single beds. All of our rooms are en-suite with bath / shower & hairdryer. Tea & coffee making facilities are provided free of charge to all guests along with an iron & ironing board. Our housekeeping department make up the guest rooms using duvets, throws and the crispest of white linen. Room size: 14sq meters. 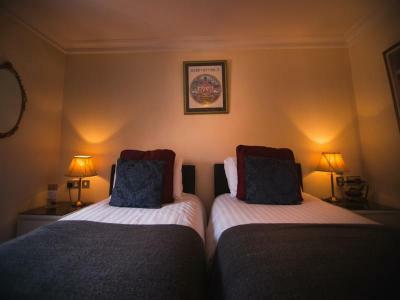 Our double rooms consist of one double bed. All of our double rooms are en-suite with bath / shower & hairdryer. Tea & coffee making facilities are provided free of charge to all guests along with an iron & ironing board. Our housekeeping department make up the guest rooms using duvets, throws and the crispest of white linen. Room size: 16sq meters. 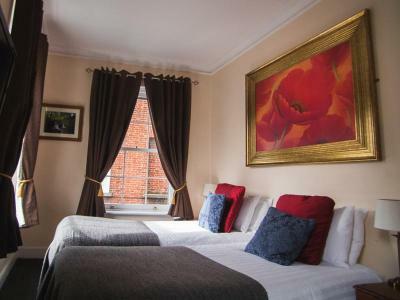 Our twin rooms are equipped to accommodate two people and consist of two single beds. 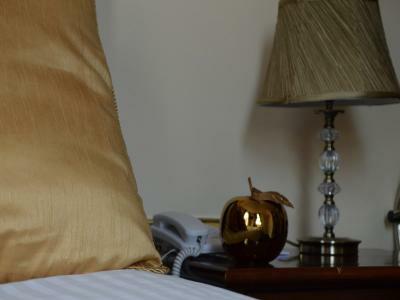 All our rooms are en suite with bath/shower and the beds are made up with our finest crisp line, duvets and throws. Tea and coffee facilities for two are provided for your convenience and each room is equipped with a multi-channel TV. Room size: 16sq meters. 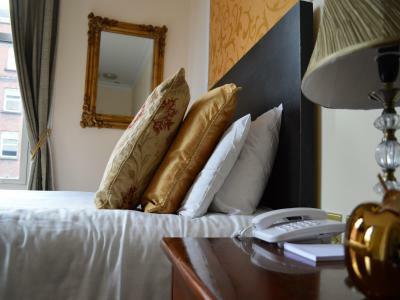 Our deluxe double rooms consist of double bed and are all en-suite with bath / shower. Luxury Toiletries and Complimentary Slippers and Bottled Water. Tea and coffee making facilities are provided free of charge to all guests along with an iron/ ironing board and hairdryer. Our deluxe rooms also have a 32″ TV in the room and have been beautifully decorated in a Vintage decor. Room size: 16sq meters. Our deluxe twin rooms consist of two single beds and are all en-suite with bath / shower. Luxury Toiletries and Complimentary Slippers and Bottled Water. Tea and coffee making facilities are provided free of charge to all guests along with an iron/ ironing board and hairdryer. Our deluxe rooms also have a 32″ TV in the room and have been beautifully decorated in a Vintage decor. Room size: 16sq meters.